Dhruv brings along with him several years of experience. Before PropTiger came into being, Dhruv was the CEO of GE`s Infrastructure business in India, and also led Institutional Sales for GE in the country. 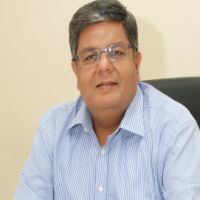 He has previously held various senior roles with GE in the US and has world-class operating and general management experience.Dhruv had previously started a highly successful iron-ore mining company in India, and he also started and exited an education business offering management training. Dhruv holds a B.S. in Materials Science from Northwestern University, an M.S. from Stanford University and an MBA from Harvard.